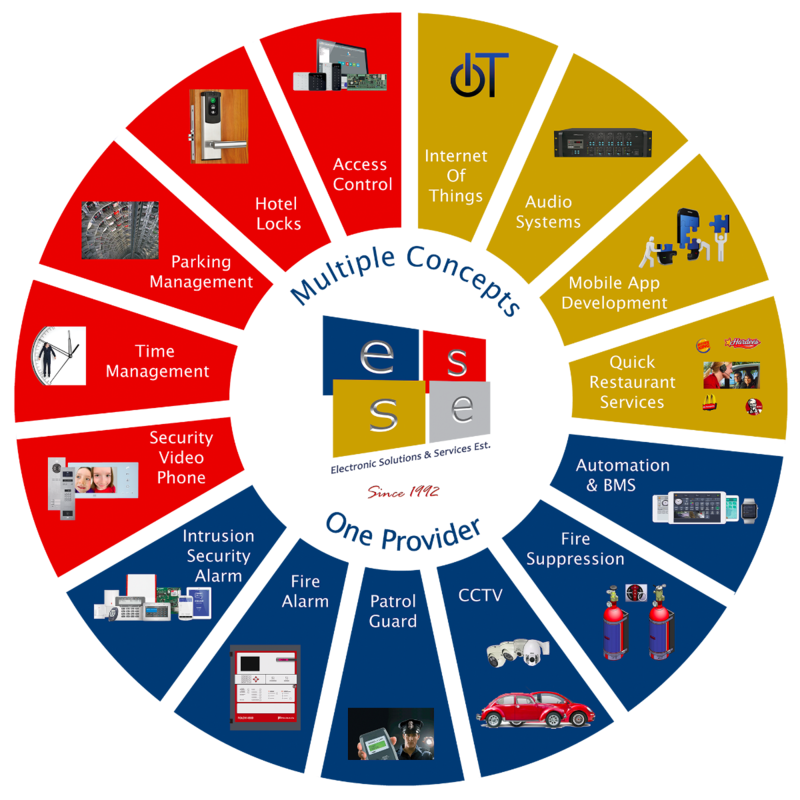 ESSE is a professional security systems provider since 1992, our products portfolio consists of a wide range of IP & analogue video surveillance, Access Control, Time Attendance & management, intrusion alarm, fire alarm, parking management, fence & perimeter protection, GPS tracking, phone security & patrol guard systems. Our mission is to invest in new technologies and innovative solutions that allow us to have reliable protection for individual and corporate customers and to choose high performance products by using brands made only by high esteemed manufacturers. 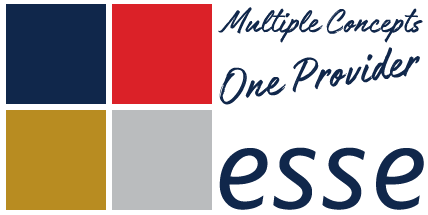 Today with over than 6,000 systems supplied & installed ESSE has the solution ”available as standard“... and counting! ESSE products are installed in both residences and large corporations and are known by more than 150 resellers all over Lebanon and Middle East Area. 93-95 Started manufacturing of power converters products. 96-97 Worked with GSM & Internet solutions. 1997 Started to work in security systems. 1997 Participated to Lebanon Protection Expo, Futuroscope. 1998 Participated to Beirut expo. 2000 Participated to Termium, Beirut Hall. 2004 Participated to Termium, Biel. 2004 Set up Ashrafieh office. 2007 Started projects in Africa. 2008 Participated in project Lebanon. 2009 Started working in Automation Software. 2010 Started projects in Gulf countries. 2011 Participated in INERSEC 2011 exhibition, Dubai. 2011 Set up Antellias Office. 2011 Participated in SMES exhibition, Lebanon. 2012 Participated in Intersec 2012 exhibition, Dubai. 2012 Established an office in Nigeria, Lagos. 2013 Participated in Intersec 2013 exhibition, Dubai. 2014 Participated in Project Lebanon 2014 exhibition, Lebanon. 2015 World Quality Commitment Award , Paris. 2016 The Majestic Falcon Award for Quality & Excellence Award, Dubai. 2016 Participated in Project Lebanon 2016 exhibition, Lebanon. 2016 Training and Launching the new Access Control Platform RACS 5 in Middle East. 2016 Participated in Beirut Marathon, Lebanon. 2017 Participated in Beirut Marathon, Lebanon. 2017 The Golden Europe Award for Quality & Commercial Prestige, Berlin. 2017 The Global Award for Perfection, Quality & Ideal Performance, Rome. 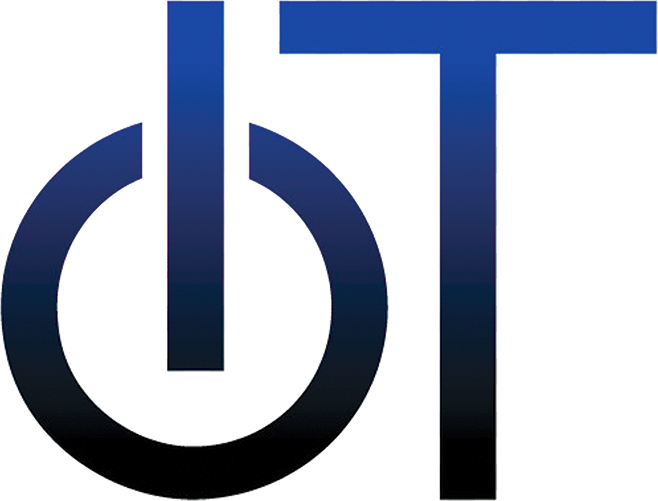 2018 The Platinum Technology Award for QBT, France. 2018 Summit of Leaders award, London. 2019 Participated in Intersec 2019 exhibition, Dubai. 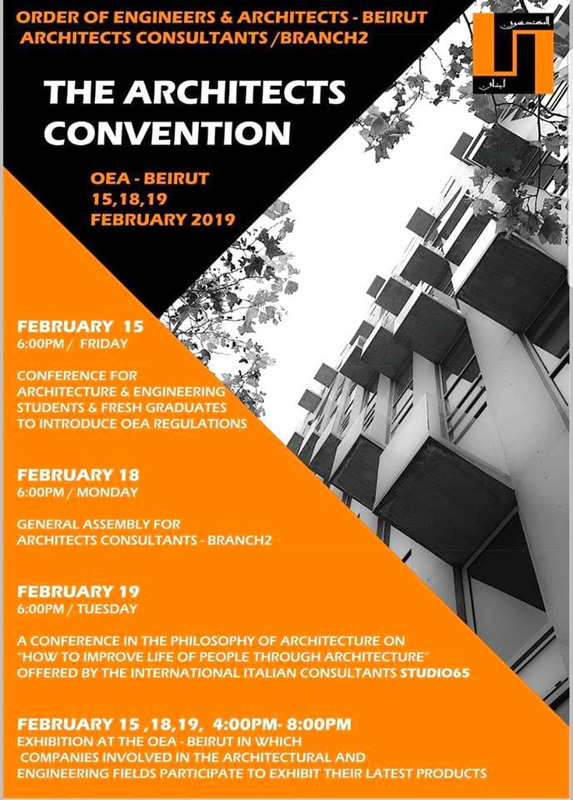 2019 Participated in Order of Engineers and Architects exhibition, Lebanon. The best stable file systems to reduce expensive on-site visits. Fast and reliable back-up and recovery systesm to never lose saved data. On-time technical support and responsive development. 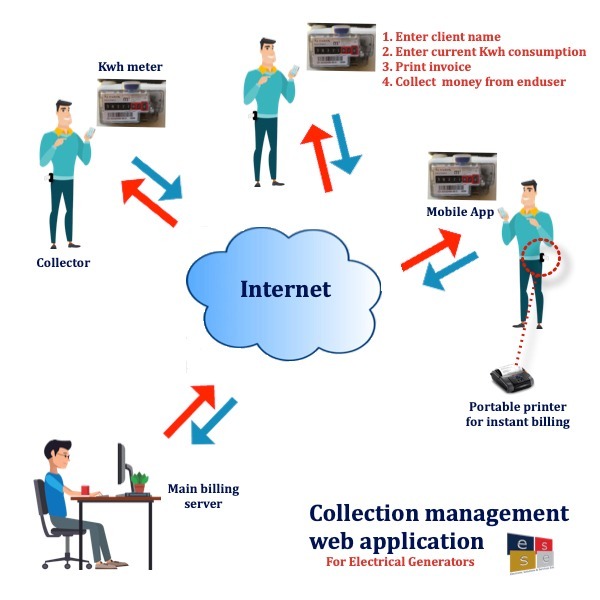 Almost our systems are computerized, that’s why ESSE provides unique troubleshooting tools through our remote access platform from our office with zero cost for our customers. 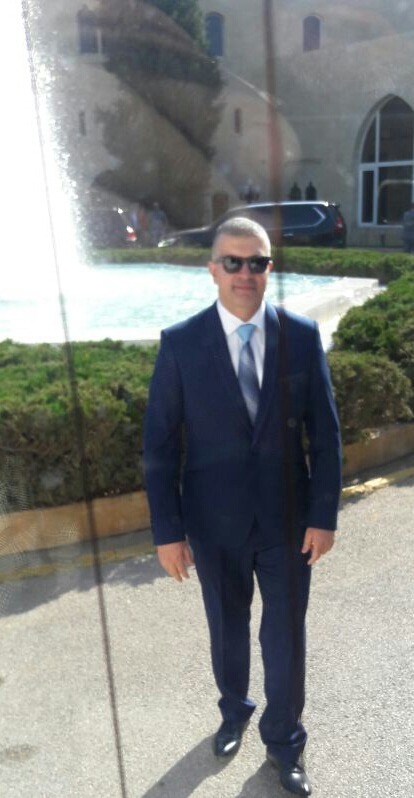 Very good reputation in Lebanon market. 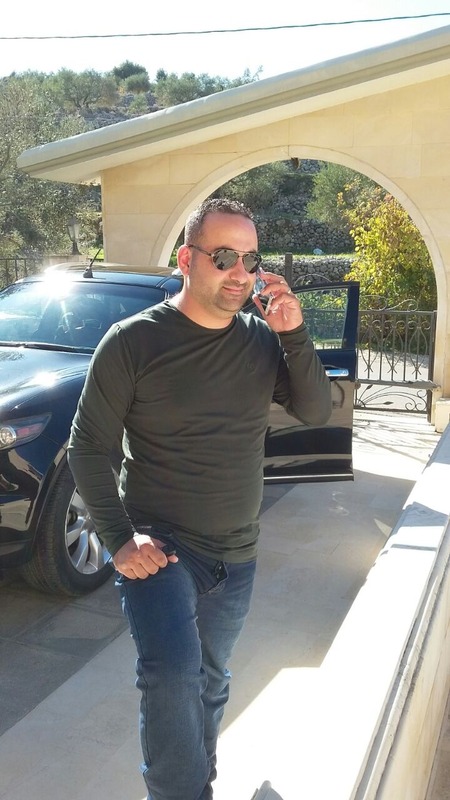 ESSE is known by more than 150 resellers all over Lebanon. ESSE Leading 2 Years Product Warranty. All security systems need to be maintained for efficient use, that’s why ESSE provides services in diagnostics, preparation and repairing. Our maintenance services can be quoted on daily, monthly and yearly basis.